Do you want to enhance your Excel dashboard, charts or reports with branded colors and elements? Say you are working on a new marketing effort that requires a specific look and feel. These elements include specific color combinations to match your corporate logo and so on. 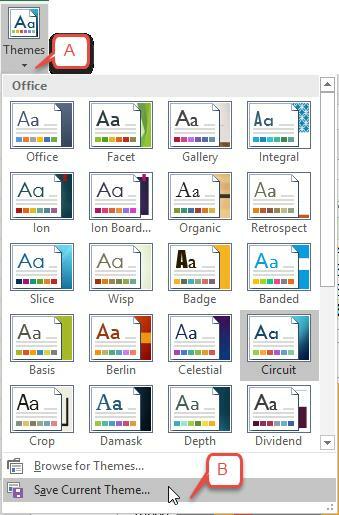 It’s possible that Excel’s built-in document themes are not sufficient to meet your design needs. So what do you do? Create a custom theme! Apply the theme that most closely matches your needs to your document. On the Home tab in the Styles and Cells groups. On the Insert tab in the Text group. Click the Themes button [A] in the Themes group of the Page Layout tab. Click the Save Current Theme option [B] at the bottom of dropdown panel to open the Save Current Theme dialog box. 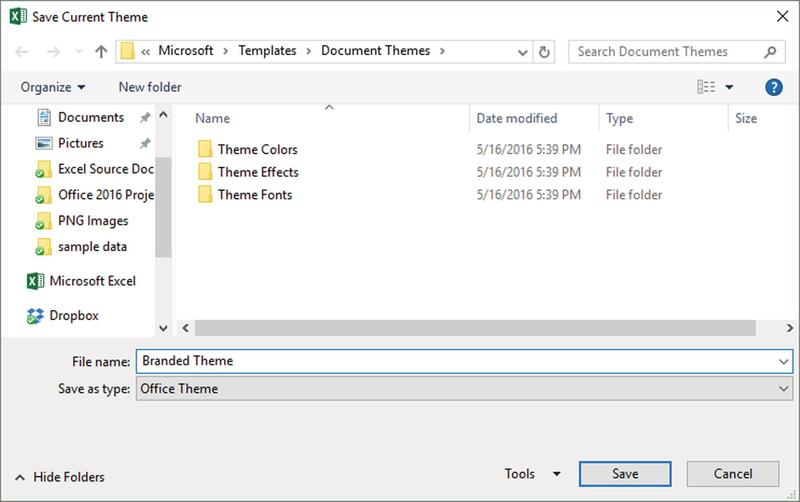 Enter a name for your theme in the File name textbox and click Save. 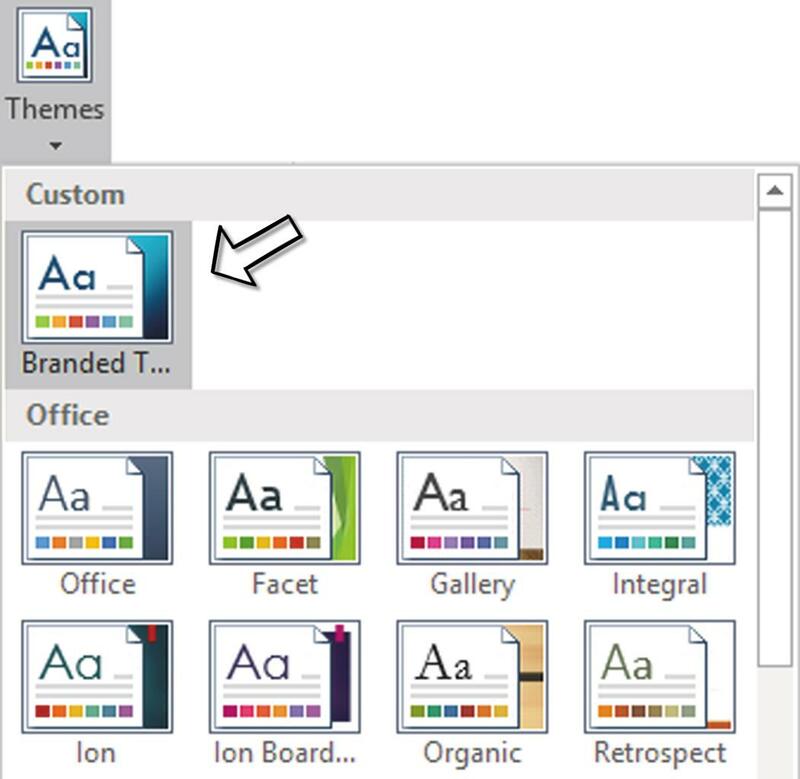 To apply your custom theme to another document, open the Theme dropdown panel again. Your saved theme will appear as an option under the Custom heading.